Keston Primary School is a two-form entry school situated in Old Coulsdon, where it falls under the Croydon Local Education Authority. The school has 420 pupils on the roll. Additionally, there are places for 52 children in the nursery each morning, with additional sessional care available for these children in the afternoon. Keston are proud of their children and of their achievements; the school community is committed to the pursuit of excellence. The curriculum aims to offer all children a broad and balanced, relevant and differentiated education providing both challenge and support for each child. 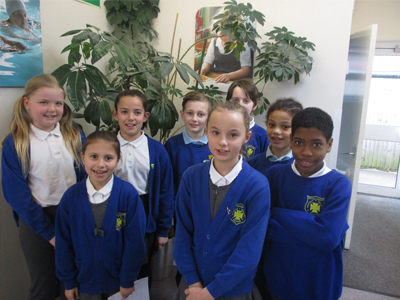 Keston Primary School is a busy school with two people working in the office who share multiple tasks. The school receives a high volume of phone calls each day. The school only had one phone line and one fax line and no opportunities to divert parents anywhere. When parents phoned in, the team didn’t know who they were in advance and then spent time retrieving pupil records. The school felt that the current way of working was tedious and were keen to implement a modern phone system with greater functionality. iCS Communications reviewed the situation at the school and recommended a Study-Call phone system. The solution covered 13 phones which were a mixture of Internet Protocol (IP) and analogue phones. To free up time in the school office, a greeting system was installed. This gives parents the option to choose an admissions line, absence reporting or the school office. The phone system was integrated with the school database system (SIMS) which populates the pupil record on a screen by recognising the parent’s phone number as the call comes in. Study-Call reporting and recording software was installed which enables the school to listen back to calls if they have an issue that needs resolving. The school receives detailed information on the length and nature of calls. The school required more phone lines so that parents could call in and leave absence messages in the morning. It was concluded that the old BT analogue line should be upgraded to Session Initiation Protocol (SIP) Trunking which is more cost effective than BT lines. The SIP service includes FREE calls to UK local, national and mobile destinations. This project was not simply about installing new technology. It was about understanding Keston Primary School, working out exactly what the school needed, and putting together a bespoke solution. iCS Communications delivered an upgraded phone system which is very reliable with greater functionality, saving the school time. iCS Communications continue to provide support after the installation of the system. Julie Morgan, Office Manager noted that iCS Communications were extremely responsive with technical support during any minor teething problems just after installation.